When you use a product like baby powder, you’re likely to think it’s completely safe, but that isn’t always the case. In this instance, there is evidence that talcum-based baby powder and other products has caused consumers to develop breast or ovarian cancer. If you have learned that you have ovarian cancer, you need to find out whether the talcum powder you used caused this terrible condition. If so, you may be entitled to compensation from the manufacturer. Taking on a massive corporation is a complicated legal issue that will pit you against a team of lawyers. 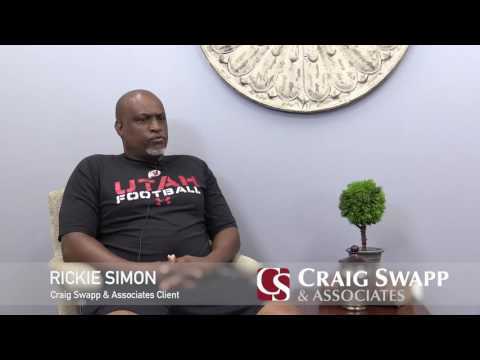 To successfully hold the company accountable for your suffering, you’ll likely need the help of a Boise talcum powder cancer lawyer from Craig Swapp & Associates. Magnesium, silicon, and oxygen make up talc, which is what talcum powder primarily consists of. It’s used to absorb moisture and reduce friction to prevent chaffing and rashes. This is a common product used on babies to prevent diaper rashes and gymnasts to prevent blistering. Now, people are becoming sick after using talcum powders for years. Johnson & Johnson, a primary manufacturer of talcum powder products, has lost several multimillion dollar lawsuits over its talcum powder products, but it hasn’t lost all of them. That’s why you’ll want to team up with strong legal support if you decide to pursue compensation after talcum powder caused you to develop cancer. Your Boise talcum product cancer lawyer will work closely with doctors and other experts to build you a bulletproof claim. Proving that a product caused cancer can be exceedingly difficult. That’s because cancer can be attributed to multiple other factors, including genetic risk. As you pursue compensation, you may find that the talcum powder manufacturer is trying to point to other potential causes of your cancer. This is when it will be important that your lawyer is able to review your medical records and gather expert testimony to show that your cancer was the result of talcum powder use. Although previous cases against talcum powder-producing companies have been successful, negligence on the part of the company must be proven for each case. Your Boise talcum powder ovarian cancer attorney can help with that. If you are one of the many who trusted talcum powder products over the years and ended up with ovarian or breast cancer, you deserve compensation. We want to handle the fight for your compensation so you can spend time with your family and focus on recovering. If you’re ready to get started, contact a Boise talcum powder cancer lawyer at Craig Swapp & Associates. Give us a call at 1-800-404-9000 or fill out the online contact form at the bottom of this page.